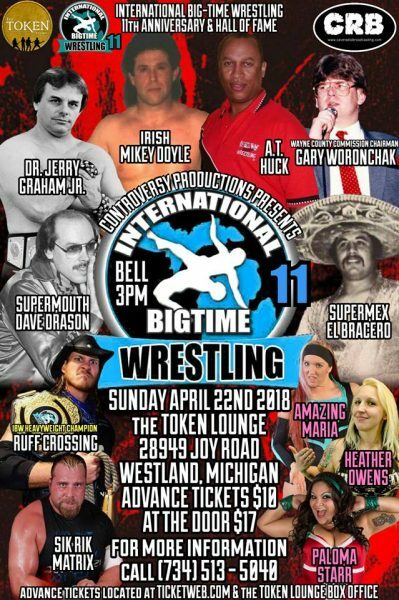 Rude Boy announced that Violent J is set to appear at the International Big Time Wrestling event on April 22nd in Westland, MI. Violent J will be in the house to induct Irish Mickey Doyle into the International Big Time Wrestling Hall of Fame. Insane Clown Posse’s very own Violent J to induct his mentor Irish Mickey Doyle into the 2018 International Big Time Wrestling Hall of Fame…. Sunday April 22nd 3pm Token Lounge Westland Michigan all ages welcome!! !